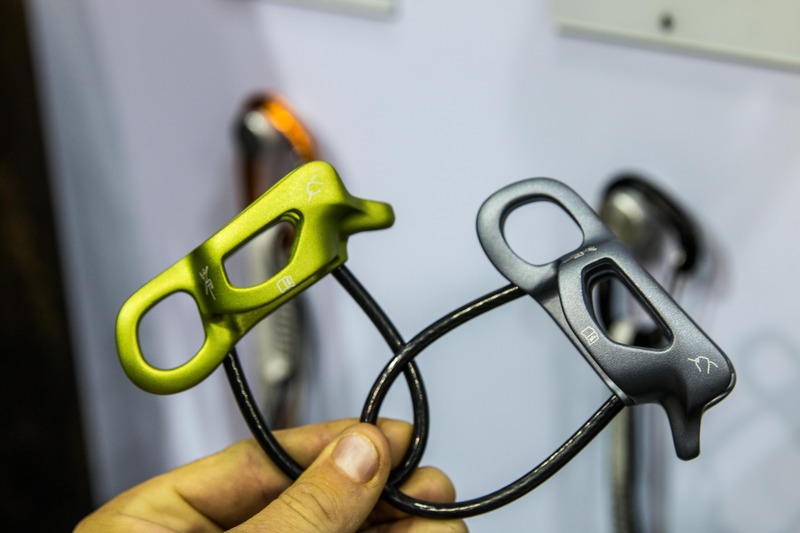 One of the more unique and innovative climbing technologies to be released this year is Edelrid’s new BulletProof line of carabiners. These hybrid Stainless Steel / Aluminum Alloy ‘biners blend the benefits of the two metals and are sure to be a popular addition to racks everywhere. Surprisingly this new technology hasn’t seen much fanfare but it’s definitely worth checking out next time you’re at the gear shop! BulletProof quickdraw on the first bolt of a local sport climb. 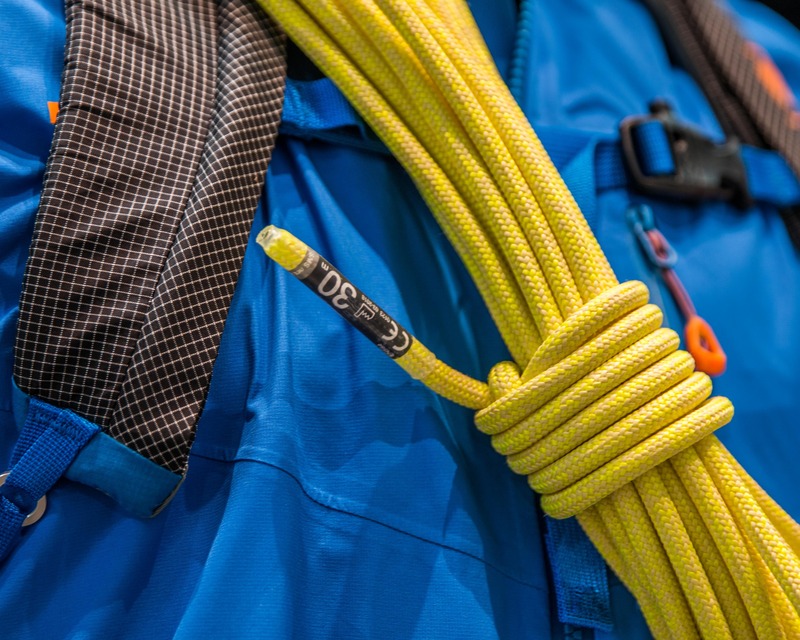 The first draw often sees more wear than subsequent draws due to the change of direction in the rope, a perfect use for the BulletProof tech. 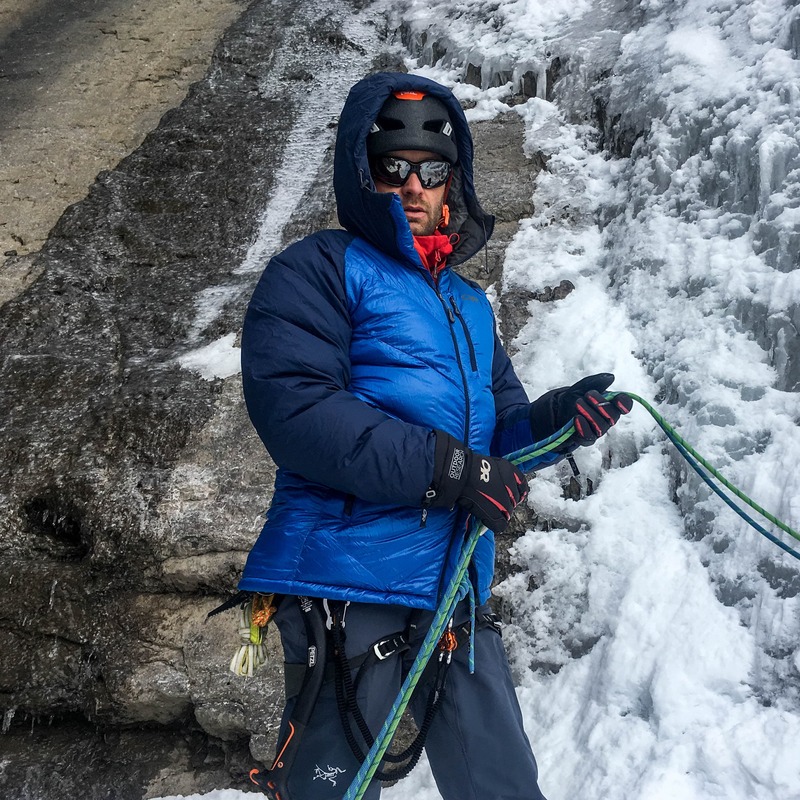 This article is called a First Look review as I’ve only been climbing on some BulletProof gear for about a month now. After I put a bunch more miles on the kit I can comment more on long-term durability and use but for now lets focus on some first impressions. 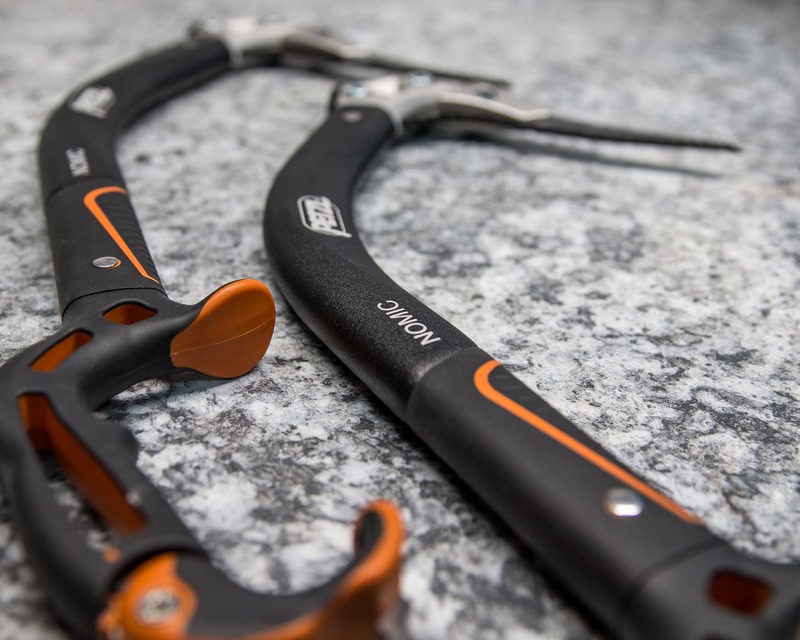 * Edelrid hasn’t released any BulletProof carabiners with the Slider type lock yet but I’d be surprised if something doesn’t make it into the line-up eventually. 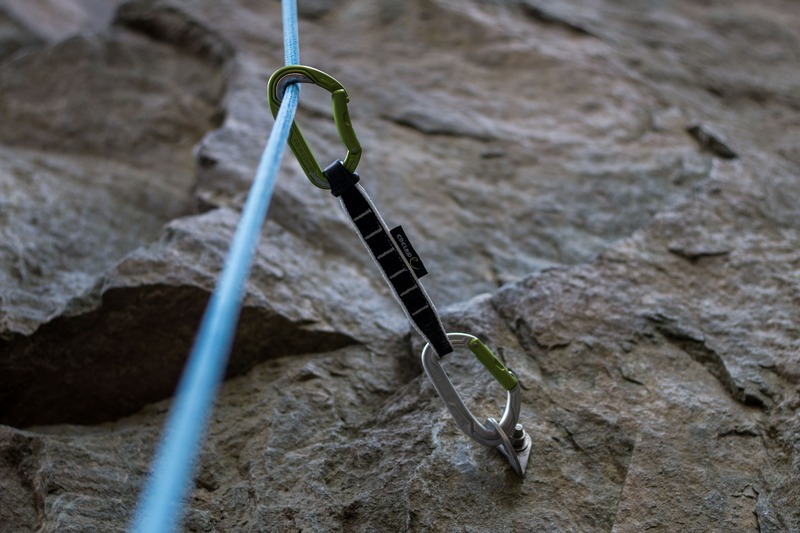 Aluminum alloy has long been the go-to material to make a wide variety of carabiners for use in recreational climbing while steel carabiners have mainly resided in the domain of industrial work. The reason for this is quite obvious, weight. 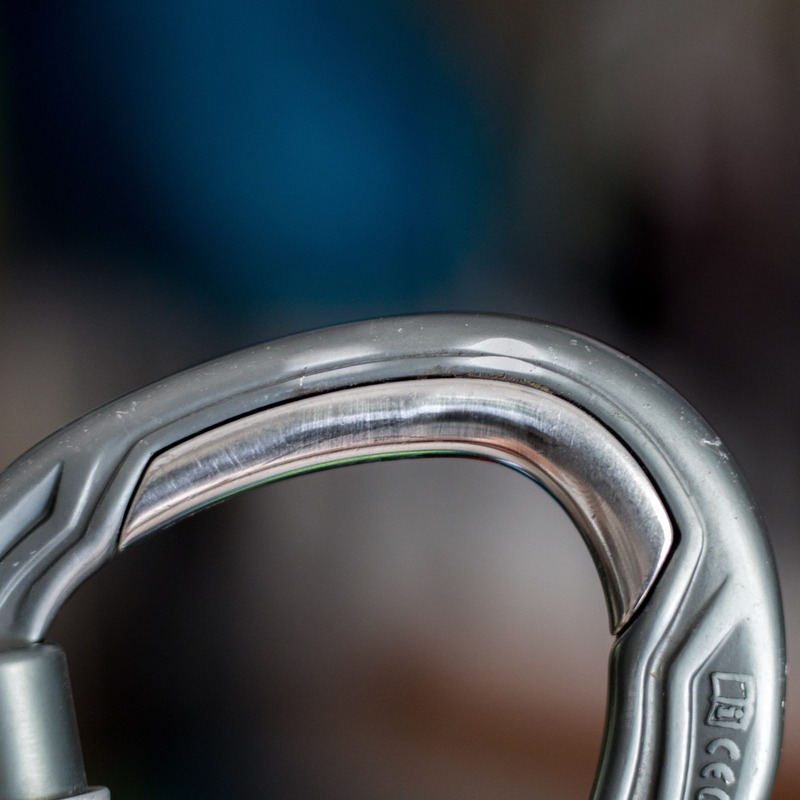 A steel locking carabiner is in the 150 to 250g range while a similar size aluminum ‘biner will be in the 50 to 85g range. So despite the benefits of a steel carabiner, namely durability but also strength, it’s hard to justify a 300% weight increase. The small assortment of Edelrid’s new BulletProof kit that I’ve been playing with. Missing is the triple action HMS locker as I couldn’t find one at the local shops. 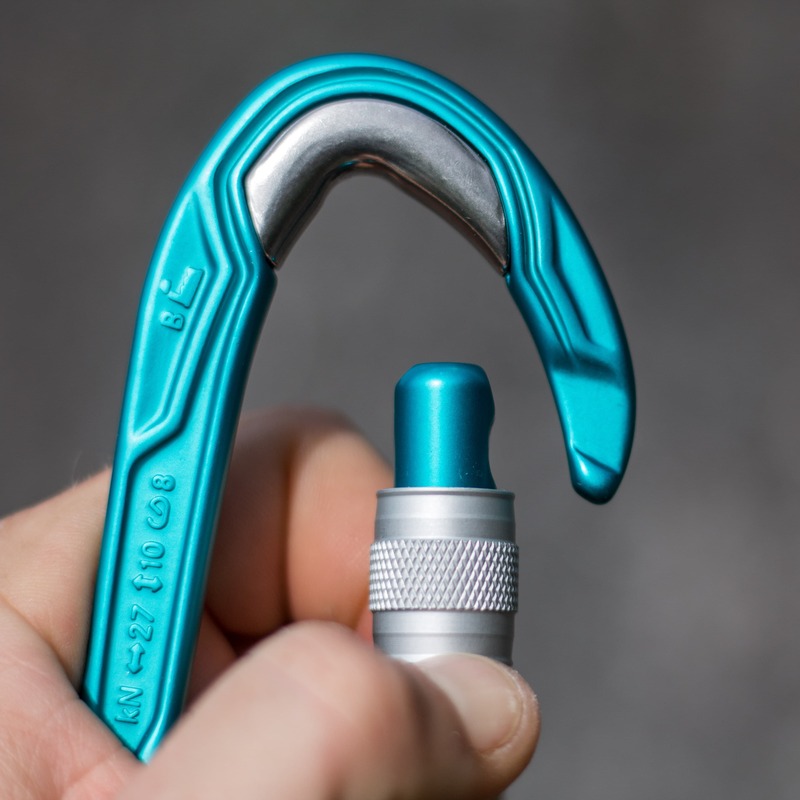 The new BulletProof carabiner tech, on the other hand, takes advantage of the benefits both metals have to offer. 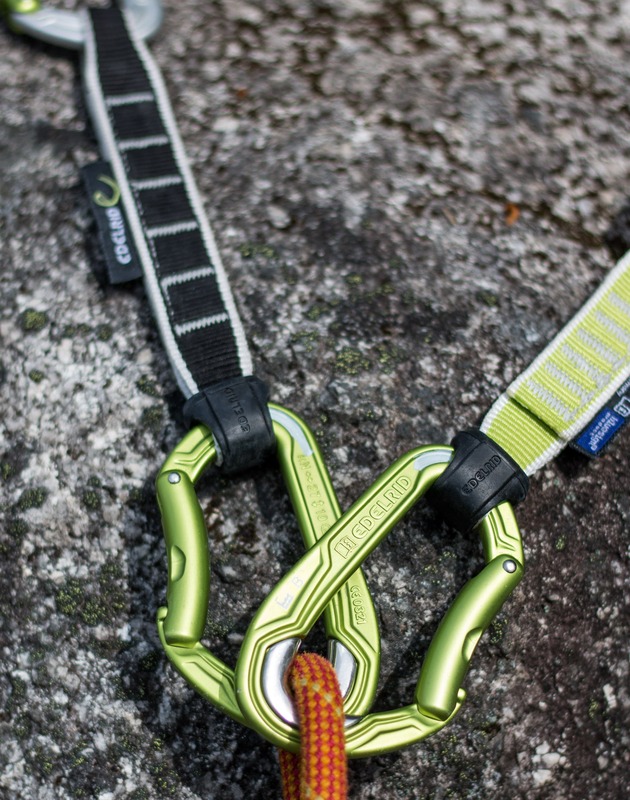 Using an aluminum body and just a small stainless steel insert along the inside apex of the carabiner has allowed Edelrid to keep the weight down. But the strategically placed insert still leverages the benefits of the steel by providing a very smooth and durable wear surface for a rope right where it’s needed. 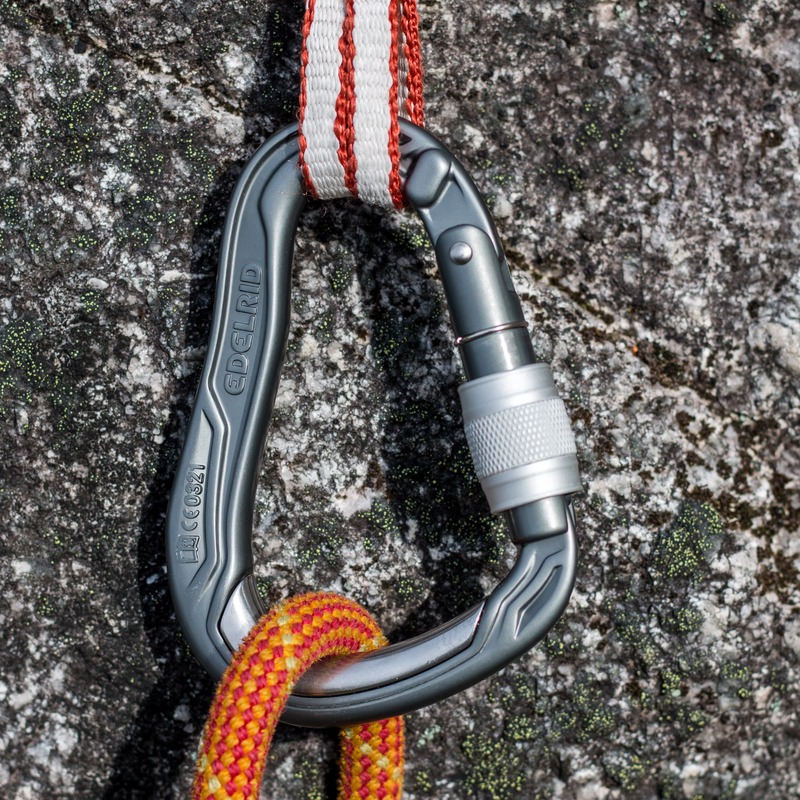 The stainless steel insert can be seen in on the top of the HMS carabiner. The insert on the D locker is a little smaller as can be seen below. 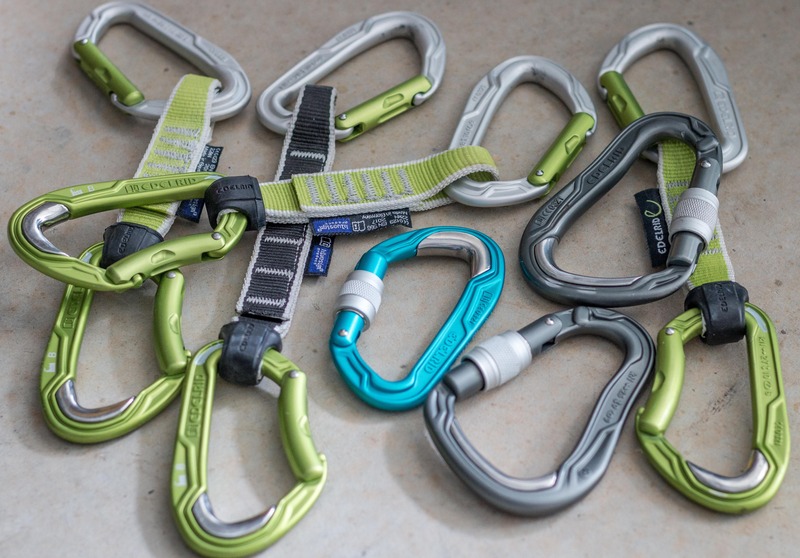 The D shaped ‘biners have a smaller steel insert as the apex of the carabiners is much smaller. 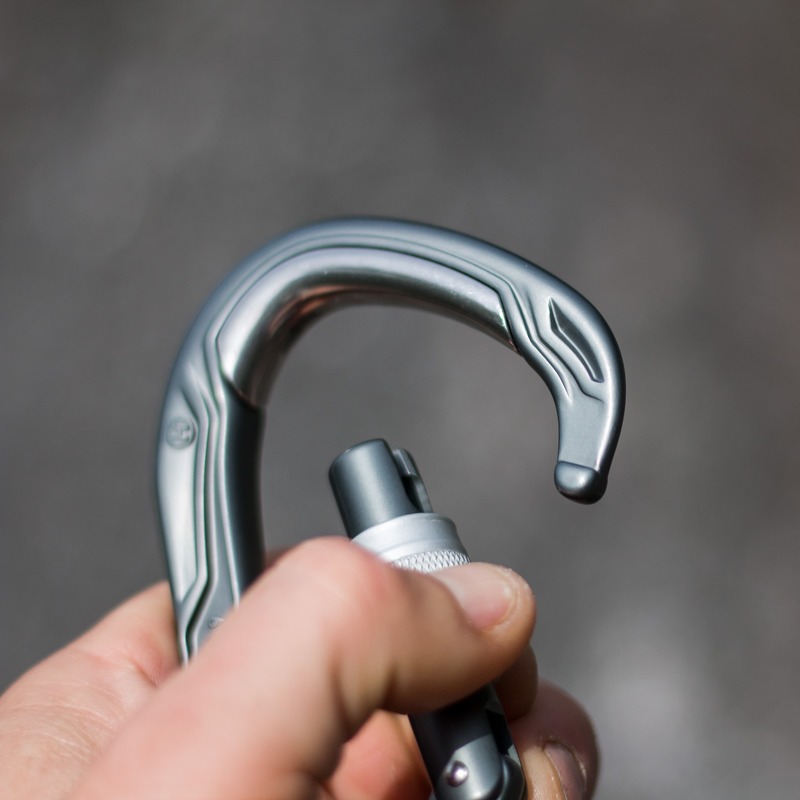 I really like the nose angle on this carabiner as well (locking & non-locking versions). It makes clipping smooth and easy, even when there’s a little tension in the rope. 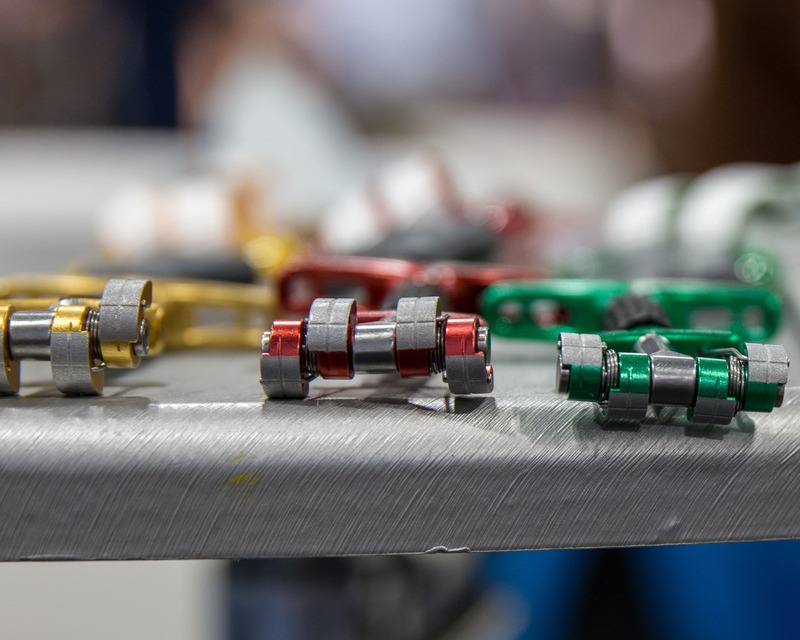 The actual carabiners in the BulletProof line-up can easily be overshadowed by the shiny new steel inserts. So how do the ‘biners stack up? After a few days of belaying with the BulletProof HMS carabiner some wear is evident on the aluminum above the steel insert. I expect that once the sides are worn a bit slimmer the steel will protect against further wear. Time will tell. I really like the new non-locking carabiners. They have an ergonomic shape, crisp action and a smooth nose angle. They make great quickdraws! The screw gate D carabiner is basically the same as the non-locking version and so has the same positive attributes along with a smooth screw lock. Maybe not quite as smooth as the iconic DMM screw gate but still very nice. The HMS screw-gate carabiners have the same locking mechanism but I found the gate to be a bit stiffer. Not necessary a bad thing on a belay or TR carabiner though. 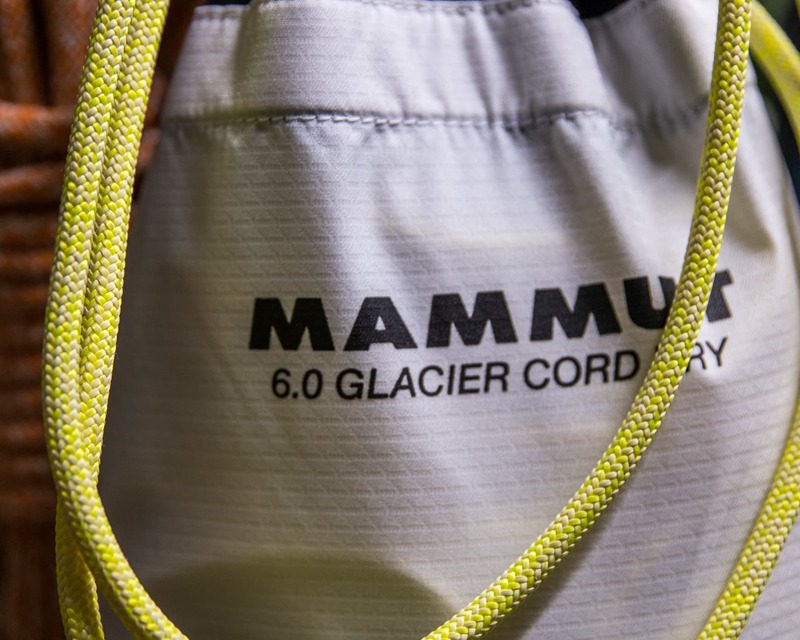 When using the HMS in a belay device it seems that the rope still contacts some unprotected aluminum along the side as shown in the photo. Unfortunately I couldn’t get my hands on any of the triple-action lockers for testing. None of the local Vancouver/Squamish stores have them in stock yet. 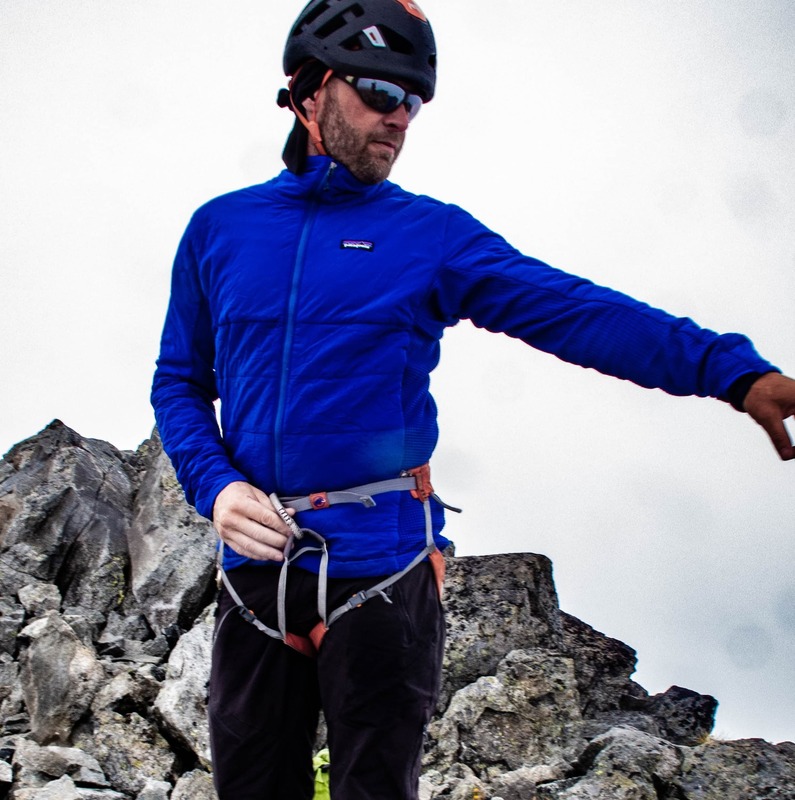 The steel inserts make the BulletProof quickdraws ideal for lowering off a climb. 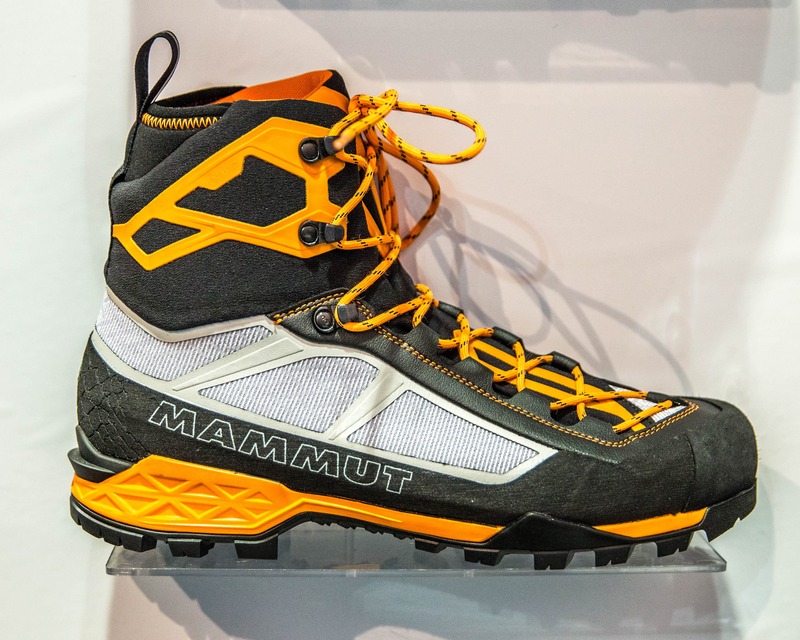 They won’t wear like an alloy ‘biner while reducing the amount of aluminum oxide blackening your climbing rope. The environment has become a divisive political issue with the adoption of green policies often taking a back seat to other economic considerations. 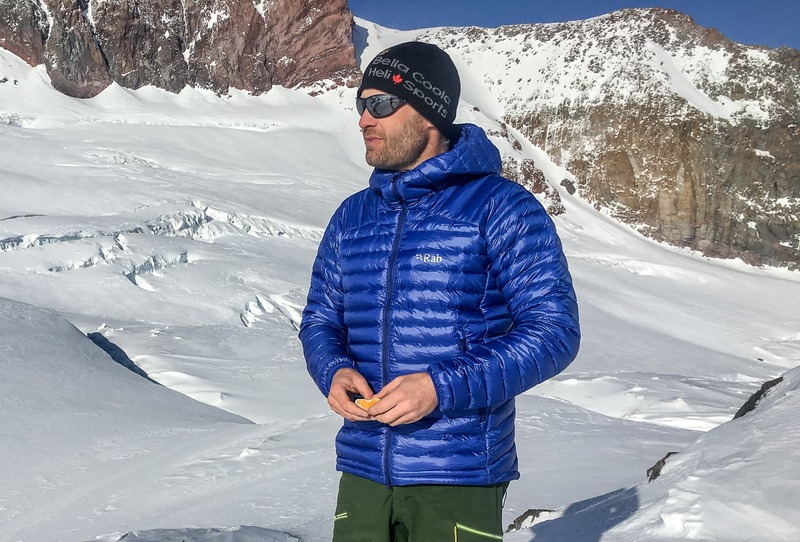 However, some outdoor brands are electing to become better corporate citizens and consider the environmental implications of their decisions. 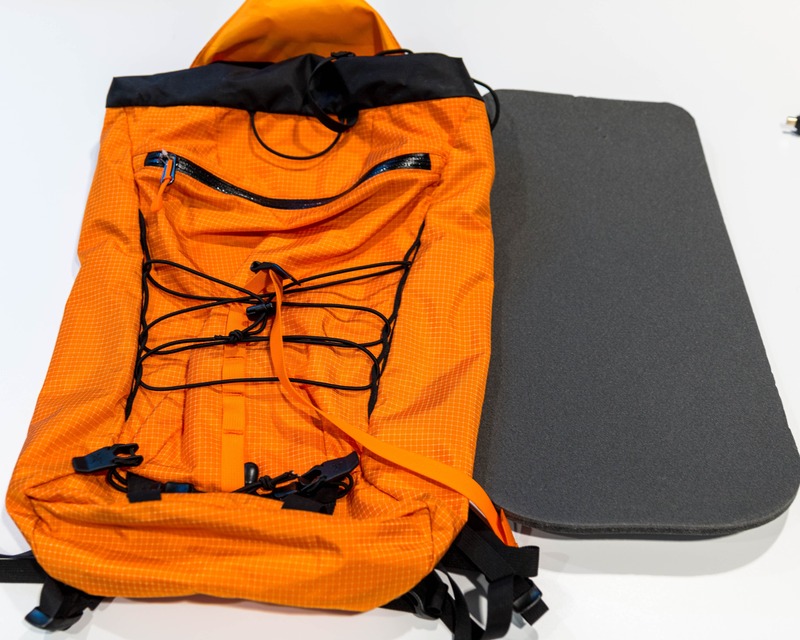 Now this is pertinent to this review in that Edelrid is one of these forward thinking brands and deserves a little recognition for the effort. 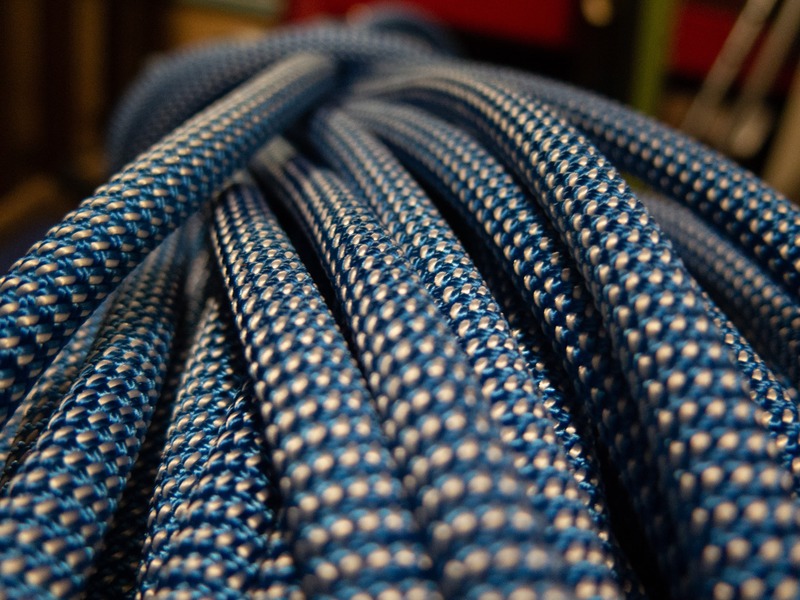 With a focus on sustainability they’ve developed a long list of great climbing products: A rope made from left over fibers (Boa Eco), a PFC free Dry treated rope (Swift Eco), several bluesign approved ropes, lightweight steel climbing products, etc. 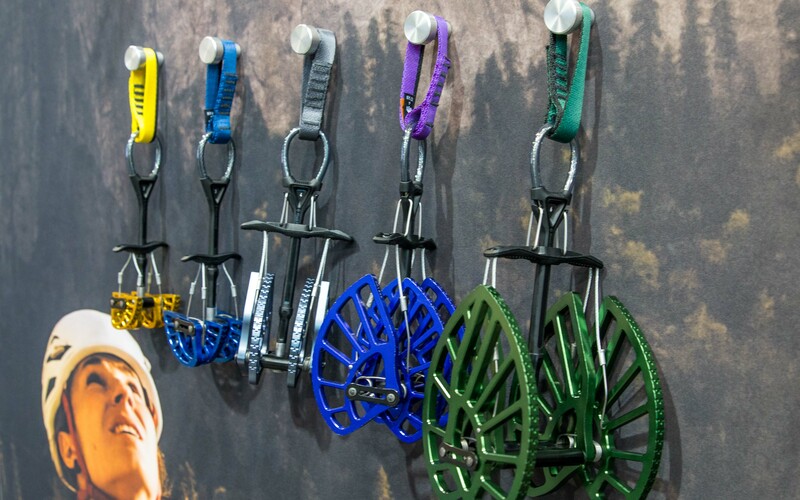 Of course this line of steel products includes the new BulletProof carabiners though it started with an array of Jul belay devices. Keep up the good work! 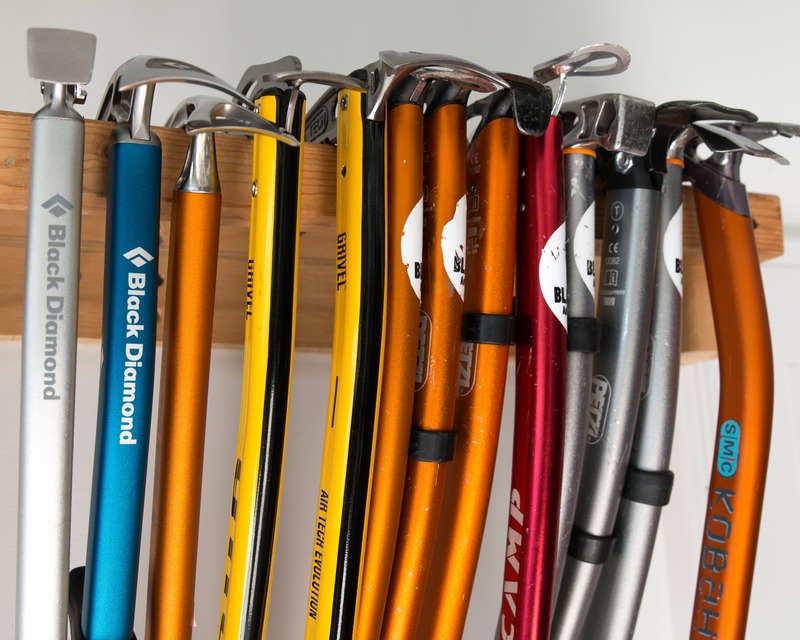 Overall: A great line of carabiners for specific uses. Definitely worth picking up a few of the draws if you’re an avid sport climber and/or the lockers for belaying & TR anchors. 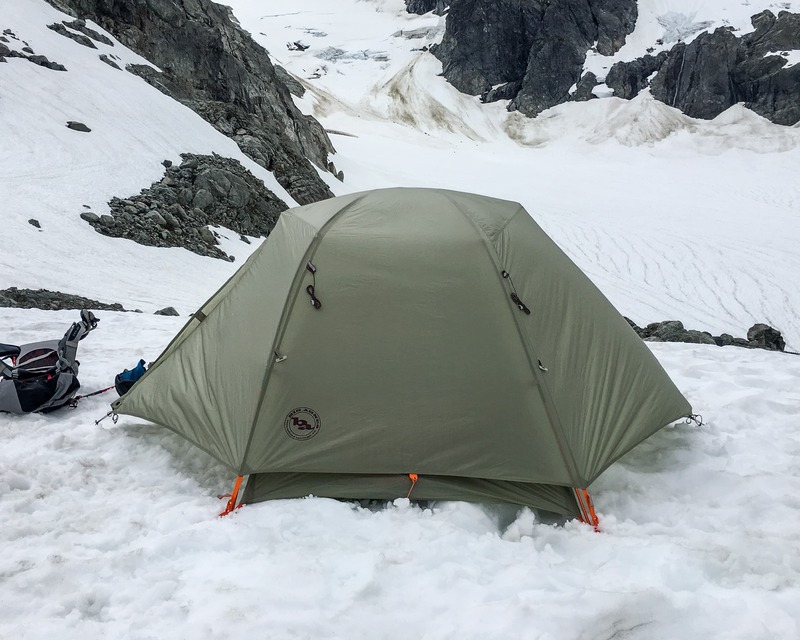 I was provided with some, not all, of the carabiners used in this review but of course this didn’t influence my opinion in any way.